Pump Solutions is a proud distributor of closed-coupled centrifugal pumps manufactured by Scot Pump, American Marsh, and Calpeda. Our knowledgeable sales staff is happy to help you find the closed-coupled centrifugal pump perfect for your specific needs. Contact our Wisconsin Pump Distributors to place your order today! A close-coupled centrifugal pump is a variation of a centrifugal pump built to save time, money, and hassle by eliminating separate couplings and frame mounts - requiring tedious alignments. The separate coupling of a traditional centrifugal pump is required to move the energy from the motor to the pump. Coupling alignments are of the most expensive and time-consuming elements of traditional centrifugal pumps. More simply, traditional centrifugal pumps require more parts, which could mean more maintenance or more chances for pump failure. This doesn’t mean a traditional centrifugal pump won’t meet your needs. It might be the best pump solution for you. However, for certain applications, the benefits of a close-coupled centrifugal pump just might be the perfect solution. Our experts at Pump Solutions #1 Corp will help you figure out the perfect pump solution for your unique needs. Instead of separate couplings traditional centrifugal pumps use, close-coupled centrifugal pumps use an impeller (the rotating part that moves liquid through the pump) as the central element of the motor component. They are built in the same casing as everything else. Because close-coupled centrifugal pumps are a one-piece solution they have many benefits, one being the ability to move various fluid types accurately and precisely. Due to the versatility, simplicity, and cost-saving design of close- coupled centrifugal pumps, they are useful in many industries. Close- coupled centrifugal pumps are traditionally used with simple seals - meaning the temperature and corrosive nature of some liquids can’t be used. The use of simple seals (or none at all) isn’t necessarily a weakness of close -coupled centrifugal pumps. Some applications benefit from the sealless ability of close-coupled centrifugal pumps. However, if the liquid you are working with has high temperature or corrosive attributes, a traditional centrifugal pump could be your solution. In addition to the benefits of saving time, money, and hassle, a close-coupled centrifugal pump has only one motor shaft and one set of bearings, giving it a smaller footprint so you can save space as well. The applications of close-coupled centrifugal pumps don’t end there, that’s just where they start. For example, the use of a close-coupled centrifugal pump is ideal for process applications when extremely high pressure is required. Due to the simpler design of close-coupled centrifugal pumps intended to make pump solutions easier and less expensive for the end-user. There are some limitations the close-coupled centrifugal pump has that a traditional centrifugal pump does not. Although the applications are narrowed compared to a traditional centrifugal pump, a close-coupled centrifugal pump still has many uses across many industries. Contact Pump Solutions close-coupled centrifugal pump distributors for more information or to place an order today. Frame-mounted centrifugal pumps are probably what you imagine them to be – centrifugal pumps mounted to a frame. You’re right. They are mounted to a stationary frame to keep all of the components, like the motor or couplings, in place. One benefit of using a frame-mounted centrifugal pump is its ability to be mounted. Mounting your centrifugal pump makes it more durable than ones that aren’t mounted, because it stays in one place. This reduces the chance of pump failure due to excessive movement. The main function of centrifugal pumps is to transfer different types of liquid from point A to point B.
Centrifugal pumps have a reverse function as well. They can be used to create mechanical rotational energy by converting the potential energy of water pressure. Centrifugal pumps use centrifugal force to move liquid from one area to another. Imagine swinging a bucket of water around in a circle over your head. As you increase the speed, the force pulled against your arm is increased. This is centrifugal force. If you make a hole in the bottom of the bucket, the water will come out in a stream – the distance the water squirts is dependent on how fast your arm is moving. This is how a centrifugal pump uses centrifugal force. Contact our centrifugal pump distributors for more information or to place an order today. Contact Pump Solutions self-priming centrifugal pump distributors to place an order today! The main difference between a self-priming centrifugal pump and a standard (non self-priming) centrifugal pump is that a standard pump cannot operate with air in the system. Air is much harder to pump than water (and has different properties). So when air gets into the centrifugal pump, it will become air-bound – non-operational because there is air in a space that is normally filled with liquid. It’s a common misconception that the impeller uses a scooping motion. An easy way to visualize how a standard centrifugal pump works is to imagine a car tire flicking off water on a rainy day. This is centrifugal force and the tire is the impeller. The impeller is the rotating part of a centrifugal pump designed to move fluids by rotation. Imagine the blades of a fan, and how the angles of them move air in a specified direction. 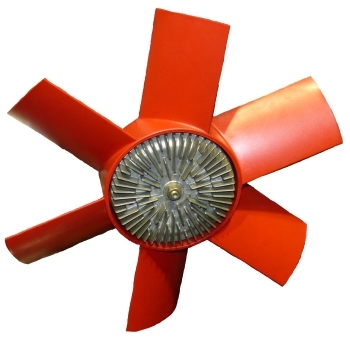 An impeller, by design, moves liquid similar to the way a fan’s blades move air. Although there are different types of impellers, they all use centrifugal force to continuously move liquid into the next stage of the centrifugal pump. The blades of an impeller are referred to as vanes. To order a self-priming centrifugal pump, or to discuss what type of pump is best suited for your specific application, contact the Midwest Pump Distributors at Pump Solutions. Also referred to as an air operated diaphragm pump (AODD), pneumatic diaphragm pump, and a membrane pump, a diaphragm pump is a positive displacement pump using a reciprocating motion of a rubber-like diaphragm to suction substance from the entrance valve into a chamber when expanding and upon compression pushes the substance through the exiting valve. 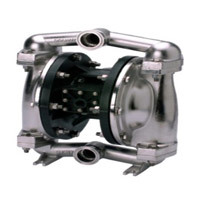 One of the main benefits of air-operated diaphragm pumps is there’s no need for lubrication. 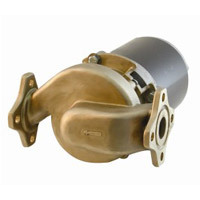 Pump Solutions #1 Corporation carries a wide selection of pumps and replacement parts from All-Flo. Engineered for maximum fluid and chemical compatibility, the All-Flo 3-in. aluminum dual-diaphragm pump is a heavy-duty solution. The stall-free and non-metallic air section makes sure operation doesn’t freeze or stall. Rugged valve systems offer an almost endless range of operating conditions – from clean, water-like fluids to slurries, to solids applications. The bolted design provides simple maintenance and leak-free operation. The All-Flo 3-in. dual-diaphragm air pump is versatile and durable. Pump Solutions #1 Corporation is Wisconsin's best pump distributor. Contact us for pump information, product pricing or service. We provide expert pump solutions to customers in the Milwaukee area, Chicago, all of Wisconsin & Illinois and throughout the Midwest. Contact our diaphragm pump experts for more information. 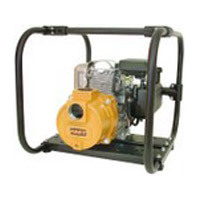 Generally, engine pumps are used for dewatering. Dewatering pumps are gas-powered and are used to remove water from one place and move it to another. 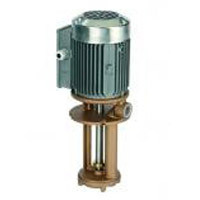 Commonly used to empty hot tubs, drain ponds, even help put out fires, and other clean water applications, engine pumps are known for the ability to move a large amount of water in a small amount of time. 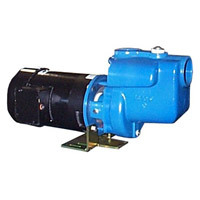 Check our our wide selection of industry pumps. Contact the pump specialists at Pump Solutions #1 Corp for more information! Pump Solutions distributes multi-stage centrifugal pumps from a number of manufacturers, including AMT and Calpeda. If you have questions or would like to order a multi-stage centrifugal pump, contact our pump providers in Wisconsin today. For applications that require a high output or just high pressure in general, a multi-stage centrifugal pump might be the right pump for your needs. To design a centrifugal pump with a single impeller developing a differential pressure of more than 150 PSID between the suction and the discharge is difficult and costly. A more economical approach to gaining the same results is to go with a multi-stage centrifugal pump. A multi-stage centrifugal pump is a centrifugal pump that contains two or more impellers: either mounted on the same shaft or different shafts. To achieve higher pressures at outlet, the impellers may be connected in series. 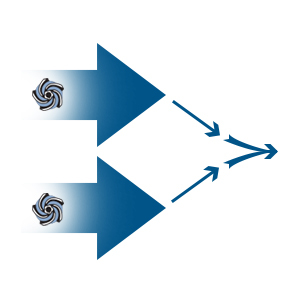 For high output, the impellers may be connected parallel. 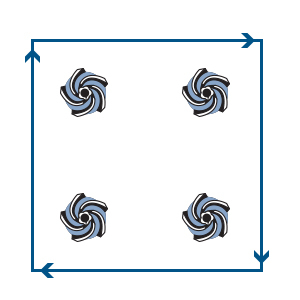 Note: when connected in series, the impellers don’t have to be in a square shape, they just have to be connected. To make an educated decision on your pump needs, contact our centrifugal pump specialists at Pump Solutions #1 Corp! A Vertical Turbine from Pump Solutions #1 Corporation is perfect for a wide array of applications. By utilizing a high-quality impeller design, the Vertical Turbine features a higher PSI, producing a greater discharge distance than ordinary centrifugal pumps. This Vertical Turbine is perfect for jobs requiring compact design and flexibility. 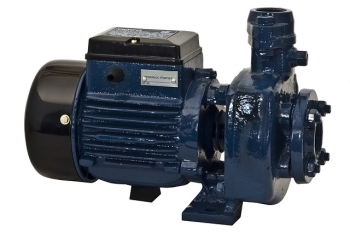 With a discharge radius of 4” to 24” and the ability to discharge 12,500 gallons per minute, this pump is ideal for many different applications. This Vertical Turbine utilizes a unique impeller design, not found on ordinary centrifugal pumps. By recirculating fluid between the blades of the impeller fan and the casing wall, pressure builds until the fluid is discharged. This highly efficient process allows turbine pumps to discharge at a higher PSI. This unique design allows Vertical Turbines to outperform traditional centrifugal pumps while saving space and maximizing efficiency. Pump Solutions #1 sells Vertical Turbines from American Marsh. American Marsh has been producing high-quality products in the USA for over 135 years. A few of our Vertical Turbine pumps from American Marsh are below. 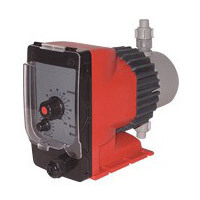 Shop all high-quality pumps available from Pump Solutions #1 Corp today. 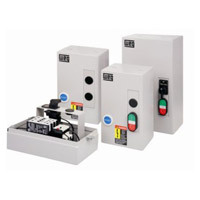 Pump Solutions #1 offers metering products from Advantage Controls, the top name in the industry. These metering products are ideal for a vast array of water and chemical regulation purposes. Metering products from Pump Solutions #1 can handle up to 114 gallons per hour at 250 PSI, which is ideal for cooling towers and boiler blow down controllers. This setup is also ideal for pressure washers, solution tanks and wands, and water meters. Metering products form Advantage Controls feature intuitive easy step menus, LCD displays, LED indicators and keypad access. Advantage Controls offers fully manageable systems which monitor most aspects of the fluid management process. Advantage Controls has been family owned and operated in the USA since 1994 and is on the cutting edge of fluid management, dedicated to meeting customers’ changing needs. Buy your water and chemical metering products from Pump Solutions #1 Corporation today. Pump Solutions #1 offers inline circulators from AMT Pumps. These pumps have earned a reputation for quiet, dependable operation. Available in a variety of sizes and models, Pump Solutions #1 can find the perfect product for your job. An inline circulator from Pump Solutions #1 will serve as a rugged, reliable component in any water pumping system. Pump Solutions #1 delivers dependability and durability required from solar and hydronic systems. Inline Circulators from Pump Solutions #1 can handle 300 gallons per minute. These workhorses are used in millions of systems across the globe. Inline Circulators from Pump Solutions #1 come in numerous styles and designs, even brass for freshwater applications. These circulators are interchangeable with Armstrong and B&G parts, which are commonly found on many hydronic and solar systems. AMT Pumps has proudly operated in the USA under its own name as well as others both nationally and internationally for over seventy years. They provide parts for some of the largest names and brands in the industry. AMT is committed to quality, dependable products, and easy, low cost service. Parts available nationwide. Contact the pump parts and accessories professionals at Pump Solutions #1 Corp today. 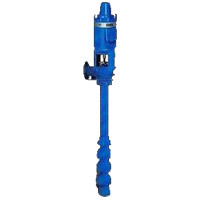 Pump Solutions #1 offers submersible pumps from AMT and Calpeda. These pumps are expertly designed and crafted, made with the highest quality components. A submersible pump from Pump Solutions #1 will operate quietly and efficiently for years to come, regardless of the job. With a range of motor sizes, Pump Solutions #1 has the perfect submersible for your job. 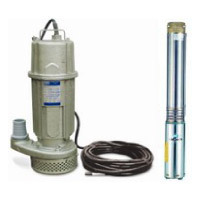 A submersible pump is ideal for sewage removal. Featuring a stainless steel filter and grinder, it can handle most solids. Able to discharge up to 10”, and filter up to 2,200 gallons per minute, a submersible pump from Pump Solutions #1 operates quickly and efficiently. 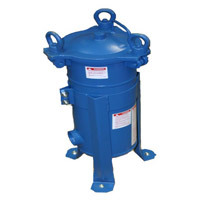 A clog resistant impeller and grinder makes submersible pumps ideal for sewage removal and solid waste handling. 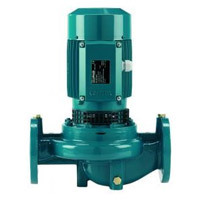 Driven by a powerful oil filled motor, these pumps run quietly, smoothly, and effectively. AMT has proudly operated in the USA under its own name and others for over 70 years, delivering top quality pumps to some of the largest industrial names in the country. Calpeda offers top quality Italian design on all products, from sewage pumps to spa and bath systems. Shop all high quality pumps available from Pump Solutions #1 today. Inline end suction pumps are great for industrial, mining, building, and waste water applications. Being one of the most popular types of centrifugal pumps, end suction pumps are also one of the most cost-effective types. Pump Solutions #1 Corporation provides its customers with a huge collection of inline and end suction centrifugal pumps. Call or contact us today and expect customer service to provide you with solutions for finding your ideal pump. You have the option to request a pump or ask us a general request. We are here to streamline the process so you receive your pump as soon as possible. How do End Suction Pumps Work? Typically, end suction pumps have one impeller. The impeller is used to handle any solid material. When pumped liquid increases velocity as it moves by the vanes of the impeller, the liquid moves into the casing where a diffusion process converts velocity into pressure. An end suction pump with no impeller is used for cleaner liquids and may be designed for specific pump standards. End suction pumps are very common and used in many applications. If your industry transfers liquid of any kind, then you can benefit from a close coupled or frame mounted end suction pump from Pump Solutions #1 Corporation. 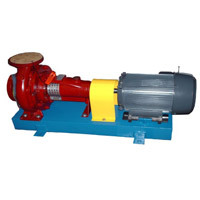 Below are industries who frequently use end suction pumps. Contact our end suction pump specialists for more information. Pump Solutions #1 Corp offers Scot Pump seals and seals for all types of pumps and applications, including general, light, heavy duty, and more! Contact the pump experts today for more information! You’re sure to find the best motor for your pump system among our variety of WEG electric motors and Baldor pump motors. Search by HP, Phase, Enclosure, RPM, or Frame, or contact our customer service to choose a motor. As a leading pump motor distributor for Baldor and WEG, Pump Solutions #1 Corp carries a huge selection of pump motors and replacement parts. Baldor motors are designed for saving energy, while WEG motors are known for their durability. Give us a call for help finding what you need. 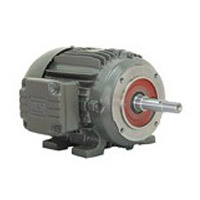 Contact the pump motors suppliers or get a quote on components and equipment. Control your pumps easily with our large variety of pump valves, connectors, and strainers. Contact our product specialists for more information on industrial control valves and other pump parts. 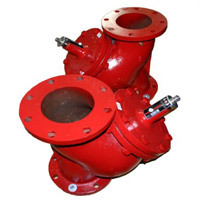 Shop Scot Pump valves and other parts or All-Flo valves and other replacement parts. Ball Valves are ideal for shutoff applications, due to their durability over time. Ball valves use a pivoting ball to control flow of the liquid. Butterfly Valves are similar to ball valves, except instead of a pivoting ball, butterfly valves have a rotating disc. Check Valves are perfect for applications where you want to allow flow in one direction, but at the same time want to prohibit flow in the other direction. Solenoid Valves are electromechanically operated. By using an electric current through a solenoid, they “automatically” control the flow of fluids. Multiple solenoid valves can be put together on a manifold. Our flexible connectors are ideal for easily connecting pipes, pumps, and valves. Our Y-strainers are useful to help filter unwanted solids out of your fluid. Contact our valve and pump specialists to get started today! At Pump Solutions #1 Corporation, we carry all three types of impellers, including open, enclosed, and semi-open. 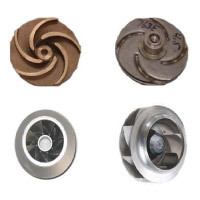 The impellers come in a variety of metals including cast iron, cast iron bronze fitted, stainless steel, and bronze. Simply put, an impeller is the rotating component within a centrifugal pump accelerating the fluid inside. Velocity achieved from the fluid is later transformed into pressure as the fluid leaves the pump. Impellers are the most influential component within a pump, because they have the ability to change flow, speed, and differential head. An open impeller only consists of blades attached to a hub. It is the least efficient impeller, but they are best suited for applications where the impeller needs cleaning or there is a chance of blocking. A semi open impeller contains a circular plate attached to one side of the blades. An enclosed impeller (also known as a shrouded impeller) has a circular plate attached to each side of the blades. For more information contact the impeller experts at Pump Solutions #1 Corp today! When you work with pumps, Pump Solutions #1 knows you need the most distinct and superior product available for peak performing dependability. This is why when it comes to end suction centrifugal pumps; Pump Solutions #1 Corporation offers Scot Pump products and a huge collection of Scot Pump Repair Kits. Scot Pump focuses on just the end suction centrifugal pumps which makes them very experienced in all aspects of this type of pump. You want your odds for obtaining your specific goals to improve while lowering the chances of something going wrong. Having a specialist like pump designer Scot Pump in your corner raises those odds. At Pump Solutions #1, our #1 priority is your success. Having an effective pump system installed prevents sudden breakdowns and issues resulting in lost productivity and ultimately loskt money. As industry experts, we know pumps and we trust Scot Pumps. They are the best at what they do. We’ll share our boons of this investment with you along with all of the other specialists we work with to give you the best pumping system you can possibly have. Contact the Scot Pump distributors for more information. Scot Pumps provides the most reliable and highest quality motor replacements parts. Offering only the best pumps and pump motors, Pump Solutions #1 has made Scot Pumps a leading supplier. Rather than focusing on a broad range of pumps, Scot Pump covers only end suction single stage centrifugal pumps. Concentrating their time on a specific product has made Scot Pump the go-to guys for this particular niche. They create pumps ranging from 3/4” through 12”. If you have a specification they don’t have, Scot Pumps can create a custom pump part for you. Pump Solutions #1 Corporation partners with Scot Pump for your benefit. 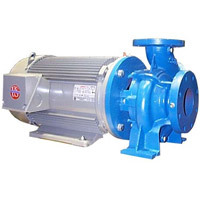 We know they offer high quality end suction centrifugal pumps. If your pumping needs require this piece of equipment you know you’re in good hands. All of Pump Solutions #1’s partners add a quality piece to solving any pump challenges you face. All-Flo is one of the most prominent diaphragm pump brands on the market. 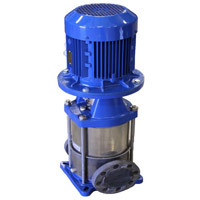 Our All-Flo pumps are utilized in the oil and petroleum, food and beverage, mining, and construction industries worldwide. All-Flo pumps are made with the highest standard in quality, giving them the durability to last a long time when properly maintained. 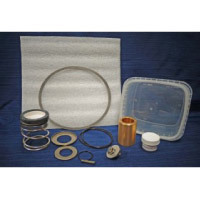 Pump Solutions carries wet end pump replacement kits, providing a convenient solution for those who don’t have the time to see a repair technician. Further, installing pump replacement parts is usually more cost-effective than replacing your pump, depending on the circumstances of the damage. If you’re unsure whether to repair or replace your pump, our All-Flo pump suppliers are happy to provide you with the best solution. 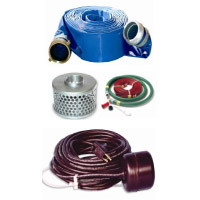 Pump Solutions carries a huge selection of All-Flo pump repair kits, helping you upkeep your pumps throughout the years. 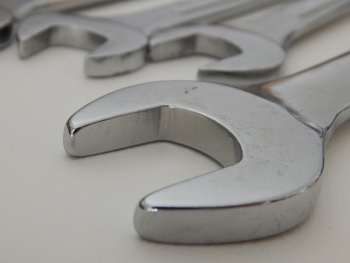 Our pump repair kits contain crucial components for restoring your pump, providing a solution if you experience normal wear and tear or part damage over the years. 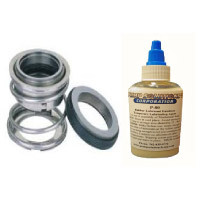 Choose from wet end repair kits for All-Flo pumps ranging from 1/4” to 3” in size. Our replacement kits include troubleshooting tips along with detailed instructions on installing pump parts, for fast and easy pump repair. Contact the All-Flo pump distributors for more information. We carry pump components from a variety of name-brand manufacturers, like All-Flo. We’re your one stop shop for all your auxiliary equipment. From pumps and motors to replacement parts and additional components, we have it all, and we’re here to help you figure out what you need. With competitive prices and dedicated service, Pump Solutions is the best option for water pumps, electric motors, and replacement parts. Give us a call for help choosing equipment, or contact us for a quote. Contact the pump parts suppliers at Pump Solutions #1 Corp for more information, or request a quote on pump components. Our high quality products ensure the best liquid handling equipment for your industry. With competitive pricing and excellent customer service, we distribute pumps and pump components, replacement parts, and auxiliary equipment and controls. Not sure what products you need? We’re here to help you make the right decision based on your needs. Contact the pump auxiliary controls distributors at Pump Solutions #1 Corp, or request a price estimate on the best pumps and components. Available in a range of sizes to work with a variety of pumps, our fluid handling system filters are durable and competitively priced. Our extensive selection of pumps, motors, and filters available at competitive prices makes Pump Solutions #1 Corporation your best choice for plumbing, water treatment, oil and petroleum, or other industry equipment. Request a pump components estimate, or contact the pump filtration assembly suppliers at Pump Solutions #1 Corp to learn more. 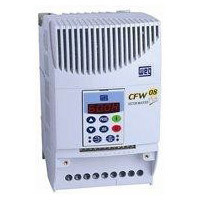 Designed for compatibility with standard pump motors, our variable frequency drives easily integrate into an existing pump system to reduce energy consumption and costs. Easily control the flow and efficiency of your liquid handling system with a variable frequency drive from Pump Solutions #1 Corp. We’re your one stop shop for all pumps, motors, replacement parts, repair kits, and more. If you’re not sure which pump, motor, or variable frequency drive you need, call us at 262-835-0774 for help from our experienced and knowledgeable service staff. Contact the variable frequency drive suppliers at Pump Solutions #1 Corporation for a quote on pump equipment and components. 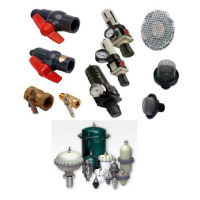 Including control valves, strainers, pulsation dampeners, solenoid valves, regulators, and other air pump accessories, Pump Solutions #1 Corp has what you need for your pump application. Contact our pump experts fpr more information about our products.